Lorenz Widmaier is a PhD Candidate in the Department of Multimedia and Graphic Arts. His research fellowship is part of the European Training Network “Participatory Memory Practices. Concepts, strategies, and media infrastructures for envisioning socially inclusive potential futures of European Societies through culture” (POEM). Lorenz holds an MA in “Photography and Urban Cultures” from Goldsmiths College (UK), and a BA in “Communication & Cultural Management” from Zeppelin Universität (Germany). Until 2018 he was running a digital agency in Berlin and worked as a graphic designer, photographer, and web/app developer. He gave lectures about web publishing, blogging, photography, and social media at Universität Hamburg (Germany). Research interests: (visual) sociology, internet studies, photography, urban (sub)cultures. Myrto Theocharidou is a visual artist and researcher. She is currently an MSCA Ph.D. fellow student of Multimedia and Graphic Art Department at Cyprus University of Technology. Her research interests include art and museum education with an emphasis on participatory practices and methodologies. Myrto received her MA in Nordic Visual Studies and Art Education from Aalto University at Helsinki (FI) and her BA in Visual and Performing Arts in Painting from Academy of Fine Arts of Venice (IT). Antigone Heraclidou holds a PhD in Modern History from the Institute of Commonwealth Studies, University of London. She is the author of Imperial Control in Cyprus: Education and Political Manipulation in the British Empire (2017) and co-editor of Cyprus: from Colonialism to the Present: Visions and Realities. Essays in honour of Professor Robert Holland (2018). She has taught History modules at the University of Cyprus, the Open University of Cyprus and the European University of Cyprus. She worked closely with several museums in Nicosia during her post as Officer at Nicosia Tourism Board. She is now a Research Associate at the Museum Lab MRG at the RISE. Her research interests include Cyprus’ colonial history, decolonisation, education and cultural heritage. 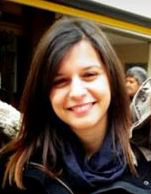 Maria is a Research Associate at RISE Research centre on Interactive media, Smart systems and Emerging technologies. She obtained her PhD title from University College London. Her PhD thesis, entitled ‘Negotiating cultural property disputes: bridging the gap between theory and practice, a way forward’, focused on the development of a novel strategic framework for the negotiation and resolution of cultural property disputes, through the application of system dynamics in negotiations and heritage management. She also holds a Master’s degree in Heritage Management from UCL, a BA in History, Archaeology and History of Art from the National and Kapodistrian University of Athens and a Certificate in Negotiation from the Institute of Leadership and Management in the UK. Her research interests include cultural diplomacy, cultural property disputes resolution, negotiation and mediation, antiquities repatriation, cultural policy and the application of system dynamics in heritage management and negotiations. Andri Achilleos has an Arts Management and Administration Master from SDA Bocconi, Milan. She holds a Bachelor’s degree in Art History and Studio Art, with a minor in Media Studies and Digital Arts from Stony Brook University, NY, USA. In 2016, she was awarded by her University for her contribution to the arts on campus. While in New York, Andri furthered her interest in arts advocacy; she interned at the Brooklyn Museum in the Development Department, and volunteered with Art Start, organizing art activities for children in NYC homeless shelters. During her Masters, Andri worked with institutions such as Gallerie dell’Academia in Venice, and Conservatorio Monteverdi in Cremona to help propose new communication and fundraising campaigns. Natasa Charalambous is a PhD candidate at the Department of Multimedia and Graphic Arts and currently a member of the Visual Sociology and Museum Studies Lab. She holds a degree in History and Archaeology from the University of Cyprus (2007) and an MA in Art Museum and Gallery Studies from the University of Newcastle (2009). Since 2007 she has worked and volunteered in various cultural organizations, both in Cyprus and abroad, and she has been extensively collaborating with the Cyprus Food and Nutrition Museum for various projects. Her current research interests include National Museums and the visionary relationship of these institutions with the memory and identity affairs of visitors as individuals and as members of a society. She also studies the role these institutions could perform in conflicted societies. Kleo Flourentzou is a PhD candidate at the Department of Multimedia and Graphic Arts. She holds a Master’s in Language and Cultural Education from the Aristotle University of Thessaloniki and a Bachelor’s in Educational Sciences from the University of Cyprus. Her research interests focus on Historical Empathy and New Technologies in Museum Education. She has been working as a teacher in Primary Education and parallel as a museum educator in museums and galleries in Nicosia. She designs and implements programs for school groups, families as well as she designs educational material for teachers and pupils. She also worked at the Cyprus Pedagogical Institute as a member of the team responsible for the implementation of the New History Curriculum in primary schools, assisting in teacher training and the development of material for pupils and teachers. She also writes children’s books related to the history of Cyprus. Chrystalla Antoniou was awarded her PhD in Museum Studies from the Cyprus University of Technology in 2016 [Doctoral thesis title: «Αειφορία, περιβάλλον και πολιτισμός στην εκπαίδευση μέσα από δράσεις σε μουσεία: Απόψεις εκπαιδευτικών, προκλήσεις και προοπτικές» (Sustainability, the environment and culture, through educational actions in museums)]. She holds a Master’s in “Outdoor Environmental Education and Outdoor Life” from the Department of Culture and Communication at the Linköping University (Sweden) and a Bachelor’s in Educational Sciences from the University of Cyprus. Her research interests include outdoor education in authentic learning contexts, museum education, education for sustainability and cultural sustainability, environmental education, experiential learning and place-based education. As a museum educator, working in museums and galleries in Cyprus, she designs and implements programs for school groups, as well as she designs educational material for teachers and pupils. Alexandra Bounia (PhD) is an associate professor of museology at the University of the Aegean, Greece, Department of Cultural Technology and Communication. She studied archaeology and history of art at the University of Athens and museum studies at the University of Leicester, UK. Her research interests are on the history, theory and management of collections and museums, the interpretation of material culture, and the use of audiovisual technologies as interpretive media. She has published in Greek and international journals and participates in research projects in Greece and abroad. She co-edited with Susan M. Pearce the book Collector’s Voice: Ancient Voices, which was published in 2001 by Ashgate Press. Her book Collectors and Collections in the Ancient World: The Nature of Classical Collecting was published in 2004 by the same publisher, while in 2009 her book “Behind the Scenes of the Museum”: Collections Management in Contemporary Museums was published in Greek by Patakis Publications. Yiannis Toumazis is Assistant Professor at the Department of Fine and Applied Arts of Frederick University, Nicosia, Cyprus, the Director of NiMAC [The Nicosia Municipal Arts Centre] and of the Pierides Foundation, and Chairman of the Board of Directors of the Cyprus Theatre Organization (THOC). His work focuses on issues of art theory, museology, museography and curating. He has curated numerous contemporary art exhibitions in Cyprus and abroad. In 2011 he was the curator of the Cyprus Pavilion “Temporal Taxonomy” at the 54th Biennale of Venice in Italy. He has also designed several museums in Cyprus and Greece, amongst which the awarded THALASSA Museum of Ayia Napa, Cyprus. In 2013 his book on Marcel Duchamp, entitled Marcel Duchamp: Artiste Androgyne, was published by Presses Universitaires de Paris Ouest in France. He is one of the co-authors of the book: Cyprus Art of the 20th Century (2003). His essays, articles and other writings on Art, Museology and Photography have appeared in many international scientific journals. In addition, he was the editor of numerous contemporary art exhibition catalogues, articles and other publications. Nicos Philippou is author of Coffee House Embellishments and co-editor of Re-envisioning Cyprus and Photography and Cyprus: Time, Place, Identity. His writings on photography and vernacular culture have been published in journals, art magazines and collective volumes. As a photographer he has participated in several exhibtions in Cyprus and abroad. He holds an MA in Communications and Technology from Brunel Univesristy, UK. He is currently lecturing at the Communications Department of the University of Nicosia and is working towards his PhD. Elena Stylianou is assistant professor in Art History and Theory at European University Cyprus and the founder and coordinator of its Cultural Studies and Contemporary Arts Lab. Her research interests include contemporary art from Cyprus, museums and curatorial studies, and photography. She previously held a research postdoctoral fellowship at the University of London, Institute of Education, UK and earned her Doctorate from Teachers College, Columbia University, NY with specialization in Art Theory and Education. She also holds an EdM from the same school in Art Education with emphasis in Museum Studies. She has taught in well-known museums in New York, such as the Museum of Modern Art (MoMA) and the Museum of the City of New York and she was the Saturday Academy Coordinator of the Museum of the City of New York in 2006-2007. She has lectured widely on a wide-range of topics, and has been involved in various curatorial projects at the Nicosia Municipal Arts Centre, associated with the Pierides Foundation. Her academic work has been published widely in book chapters and academic journals. Marina Yerali-Christodoulou was a research associate at the «Visual Sociology and Museum Studies Lab» of the Cyprus University of Technology. She has studied Book Arts (BA Hοns) at the London College of Communication and holds an MA in Book Arts with specific focus on artists’ books from the University of Arts in London. She has worked as a picture research assistant at the Archives and Permissions Department of Thames and Hudson Ltd, where she archived special and rare photographic collections. She has been closely involved with academic libraries in London and Cyprus where she continues to develop her research interests on the role of the book conceived as an art form and the current technological innovations of it as an e-book. tourist photography, memory, and photosharing. During that time she organised THATCamp Cyprus 2011 (The Humanities and Technology Camp) kicking off a long-standing interest in the Digital Humanities. Her background is in Philosophy and Art History (BA, University College London), communication design (MA Design Studies, Central Saint Martins), and Cultural Studies (PhD). Her doctoral thesis at the London Consortium (Birkbeck, University of London) focused on Cyprus, employing an art-historical method to approach questions of memory and governance. Her research and curatorial work has tended to reflect on the commons and their management. Evanthia Tselika (PhD) is the Fine Art programme coordinator in the Department of Design and Multimedia at the University of Nicosia, and is involved in the development and execution of socially engaged art projects and gallery and museum education programmes. Her practice led research focuses on the role of conflict and dialogue in relation to socially engaged art practices within segregated urban contexts. Her PhD focused on conflict transformation and art for the case of Nicosia, Cyprus (Birkbeck, University of London). She has extended research and practical experience in curatorial and pedagogical art practices and has worked, exhibited and collaborated with galleries and museums in London, El Salvador, Cyprus, Greece, Mexico and Brazil. Nikolaos Boukas holds a PhD in Management Studies from the University of Exeter, UK. He is currently an Assistant Professor of Hospitality & Tourism Management and the Coordinator of the BBA in Hotel, Tourism & Event Management at the European University Cyprus in Nicosia. He is also the Director of the Center for Sustainable Management of Tourism, Sport & Events (CESMATSE) of the European University Cyprus. His research interests are related to sustainable tourism development, cultural heritage tourism, youth tourism, tourist behaviour, destination planning and policy, niche tourism, and island tourism. Based in Germany and the US, Maren Wickwire is a visual anthropologist, filmmaker and human right advocate. Her work is research oriented, involving fieldwork and longterm engagement with local communities using participatory approaches. In her work she is looking at the growing movement of people worldwide in the context of various forms of human migration and explores social and cultural phenomena tied into the complex spatial and personal experiences of individuals locally and virtually. She represents her findings in multilayered installations, using a wide range of media including, video, audio, photography and texts. Her exhibitions and large outdoor installations have been well received internationally and granted the National Endowment for the Arts award in 2015. Wickwire holds a diploma in Visual Communication Design from the Folkwang University of the Arts in Germany and is a graduate candidate of the MA program Visual and Media Anthropology at the Freie University Berlin. Dr. Marina Markellou is an Intellectual Property Attorney in Greece. After accomplishing a Master of Laws in Intellectual Property on September 2005 in Montpellier of France, she was offered a scholarship by the Greek State to pursue a Ph.D. degree in the field of Copyright law (University of Montpellier/University of Athens-high distinction). Her primary research interests concern intellectual property as well as data protection law and telecommunication law. Member of the Greek group of the International Literal and Artistic Association (ALAI), she often participates as a legal expert in many European programs (IDABC project on December 2008/Twinning Project on December 2007). She started working at Ionian University at 2010 as an adj. Lecturer in the field of “Law and Art” at the Department of Audio-Visual Arts. She is currently preparing a post-doctoral project in evaluating the practice of artistic appropriation from a legal and sociological point of view. Eftychia Christodoulou was a research associate at the Visual Sociology and Museum Studies Lab of the Department of Multimedia and Graphic Arts. She holds a Master’s in Cultural Policy and Management from Sheffield Hallam University and a Bachelor’s in Greek Literature (Classics) from the University of Athens. Her Master’s dissertation topic was on museum education in Cyprus and her research interests include museum education, cultural mapping and public art. Stavroulla Strati is Graphic and Multimedia Designer who graduated from the Cyprus University of Technology. She holds a BA in Multimedia and Graphic Arts and her thesis is titled ”The culture map of Limassol’. She is a member and volunteer of different non government organizations including AEGEE (European Student Forum). She is interested in volunteering, travelling around the world, interacting with different cultures and examining different societies. Christos Panayiotou is a PhD student in the Department of Communication and Internet Studies at the Cyprus University of Technology. He studied Multimedia and Graphic Design in the same University and has a master’s degree in Interactive Multimedia. His research interests include Cultural, Social Psychology and Communication and how they are connected to cultural artifacts such as art and design. More specifically he focuses on how Social Representations are objectified into cultural images that in turn work as the mirror onto which individuals acquire their self-image. His personal Interests include experimental photography and art.